In the series of educational contents, here we again come up with another knowledge based resource for kids. 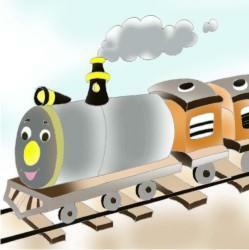 In this article, we are exploring one of the very important objects around us i.e., Means of Transport. 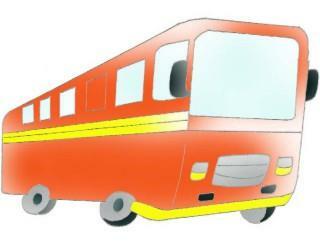 Through this article, kids will gain knowledge about different types of transports and their importance in our life. Before invention of wheel, one group of early man would remain isolated from other communities. They could move only in a walking distance area. The invention of wheel had changed the early man life, entirely. His social region had also expanded, with time. As time passed by, early man changed to a civilized person and refined the design of wheels. Earlier, it was made with wood but nowadays, rubber and steel used to make better wheels and we have also improved to better Means of Transport now. Bullock carts and pony of earlier time are now replaced by buses, cars, scooter, cycle etc. Earlier, man could only ride on horses, elephant, camel, bullock cart and handmade boats but we can also travel in air and space now. Our conveyances are also known as vehicle as well as Means of transport. Now, we have new and very fast means of transports. Today, we can go almost any place in the world. The means of transport have made our world a very small and common place to live in. Rocket and satellite made it possible to go beyond our atmosphere and to travel around the earth, in space. Human has put his step on heavenly bodies and moon also. Even we have sent rover (a robot) on planet Mars, by using very advance satellite. Making of international space station has also become possible with use of advance satellites. All states of a country are connected to each other by roads and highways. These highways are well-constructed and different types of vehicles used for different distances. Scooters, bikes and auto etc. used for short distances while cars, buses and trucks used for covering long distances. Buses is the main carrier for travelers, where as for carrying raw material and finished good from factories to market, Trucks are most useful. In all countries of the world, all major cities are connected with railways. Even some countries are also connected by railway. Trains carry people and bulky goods over long distances. India has the second largest network of railways in the world. Metro is the latest and improved railway system which is most comfortable. 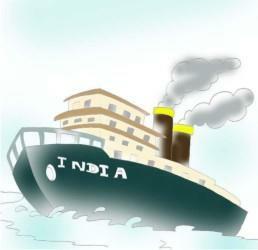 Boats, ships, steamers and submarine are included in water transport. Boats and ships are used as carriage of people and goods. In early days people used rafts and simple boats as water transport. Boats are used for short distances while ships are used for covering longer distances. Cargo ships are used to transport tones of goods like oil tankers for carrying goods, internationally. Submarine is used for naval forces of the nations. It is mainly used for naval operation in war or for rescue operation of sinking ships in the oceans. They mostly remain submerged in water, hence fit for deep seas and oceans only. 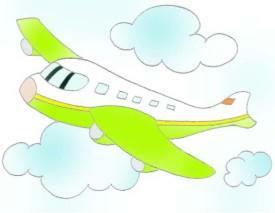 Air Transport includes airplanes and helicopters which are very fast means of transport. Today, almost all nations of our earth are interconnected by air transport. However, air transport is more expensive as compared to other means of transport. An Aeroplan carry both people and goods from one country to another; flying over deserts, forests, mountains, seas and oceans. The place from where aero planes take off or land is called an airport. Helicopters are most useful for rescue operations while disasters like flood, earth quack etc., as they can take us to places where aero planes cannot go. Rocket used to go out of earth's atmosphere, in space. This is the fastest mean of transport. 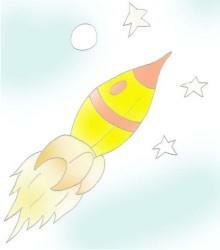 With rocket, the human beings are able reach moon now.